Heat butter and Olive oil in a saucepan over medium heat. Add onion, garlic and ginger and cook until browned. Add flour, salt and pepper mix until smooth and combined. Add red wine and soy sauce mix well. 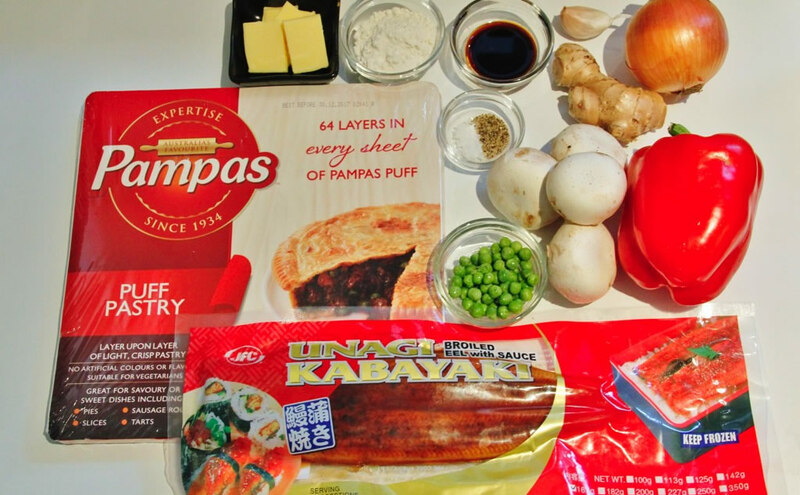 Add JFC Unagi Kabayaki, peas, red capsicum and mushroom gentry mix together and cook for 3minutes. Then set aside to cool down. Preheat oven to 200℃/180℃ fan forced. Grease 11cm pie dishes with butter and dust with flour. 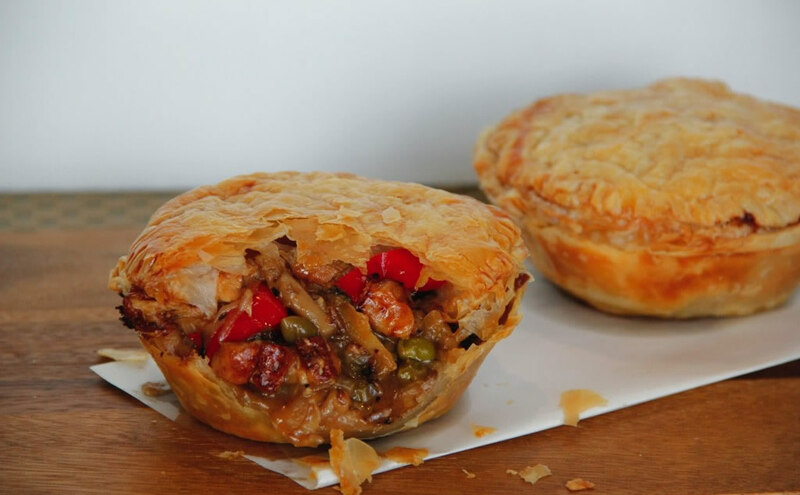 Line pie dishes with puff pastry, add filling, then top with puff pastry. Trim edges and secure pastry by pressing down edges firmly using a folk. And bake for 20-25 minutes until golden.